In this paper we give a diagrammatic category (inspired by Elias' dihedral cathedral) that is a diagrammatic presentation of the category of -tilting modules for being an -th root of unity. Moreover, we, following an approach of Soergel and Stroppel, introduce a grading turning into a graded category . This grading is a purely “root of unity” phenomena and might lead to new insights about the link, tangle and -manifold invariants deduced from . In addition, we also give a diagrammatic category for the (now graded) projective endofunctors , indicate how our results could generalize to and maybe other types and recall/collect some “well-known” facts to give a reasonably self-contained exposition. Khovanov and Lauda have categorified (for an indeterminate ). Their approach was to use diagrammatic categorification: They defined a certain -category consisting of a certain type of so-called string diagrams whose (split) Grothendieck group (roughly) gives the quantum group back. One of their main observations was that the 's and 's of the quantum group behave like biadjoint(!) induction and restriction functors on certain categories. 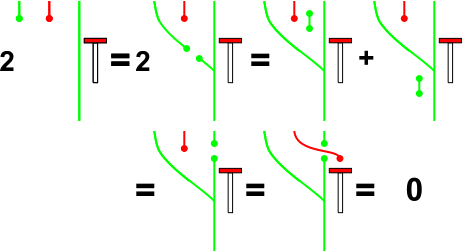 It is “folklore knowledge” that biadjoint functors have a “built-in topology” since, roughly, biadjointness means that we can straighten out diagrams. Their program of diagrammatic categorification has turned out to be very fruitful: Using diagrams and manipulate them topological and combinatorial has already led to seminal results in various contexts. The reader unfamiliar with diagrammatics may think of their usefulness in the same way as a good notation clears ones understanding of a problem. Moreover, it is a “low-tech” approach an can be done explicitly. Thus, since certain functors on (for the experts: the translation functors) have this biadjoint property, it was only natural to look for a diagram category that describes the tilting story. That is in fact what we do in the paper. 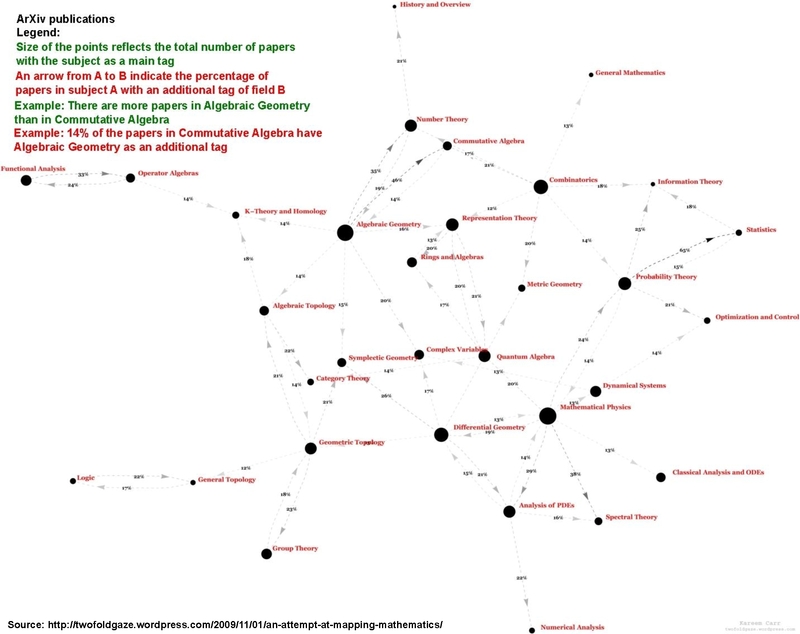 Below there is such a diagram: Some manipulations are combinatorial and some are topological (and, at least in the opinion of the authors, way simpler that to work with fancy intertwiners and higher stuff connected to them).